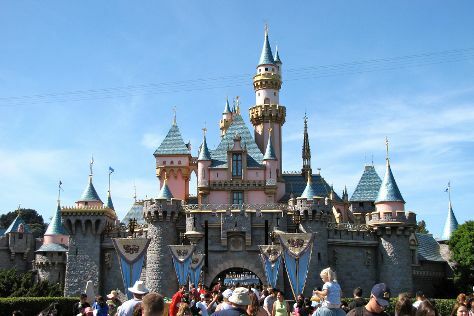 When in Los Angeles, make a side trip to see Disneyland Park in Anaheim, approximately 36 minutes away. Pack the 28th (Tue) with family-friendly diversions at Universal Studios Hollywood. There's still lots to do: examine the collection at The Getty Center, take in the waterfront at Santa Monica Pier, and make a trip to Hollywood Walk of Fame. To find other places to visit, reviews, traveler tips, and tourist information, go to the Los Angeles trip itinerary builder site . Newark to Los Angeles is an approximately 7-hour flight. You can also do a combination of train and flight; or drive. The time zone changes from Eastern Standard Time to Pacific Standard Time, which is usually a -3 hour difference. In May, daily temperatures in Los Angeles can reach 75°F, while at night they dip to 59°F. Wrap up your sightseeing on the 28th (Tue) early enough to drive to Malibu. Malibu is a beach city in Los Angeles County, California, situated 30mi west of Downtown Los Angeles. Start off your visit on the 29th (Wed): see the interesting displays at The Getty Villa, then explore the stunning scenery at Solstice Canyon, and then immerse yourself in nature at Point Dume State Beach and Preserve. To find reviews, ratings, and more tourist information, read our Malibu tour itinerary planning website . You can drive from Los Angeles to Malibu in an hour. Other options are to do a combination of tram and bus; or take a bus. In May, daily temperatures in Malibu can reach 71°F, while at night they dip to 58°F. Wrap up your sightseeing on the 29th (Wed) early enough to drive to San Diego. San Diego is known for museums, zoos & aquariums, beaches, parks, and historic sites. Your plan includes some of its best attractions: stroll through San Diego Zoo, examine the collection at USS Midway Museum, let the kids burn off some steam at Balboa Park, and pause for some photo ops at Cabrillo National Monument. For where to stay, photos, more things to do, and tourist information, you can read our San Diego trip builder tool . Traveling by car from Malibu to San Diego takes 3 hours. Alternatively, you can do a combination of bus and flight; or take a train. In May, daily temperatures in San Diego can reach 71°F, while at night they dip to 61°F. On the 1st (Sat), wrap the sightseeing up by early afternoon so you can travel back home.